Second Language is mainly inspired by my own culture. It is a collection based on ancient Chinese culture with a feminine style. 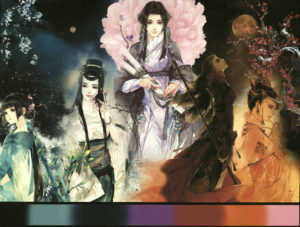 Ombre coloring effect is used to express the traditional Chinese painting style. 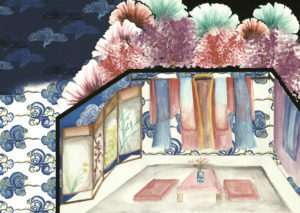 Specific motifs consist of various plants and flowers as representations of my culture due to the meaning and particular quality of a person that each of them refers to.The intention is to introduce and spread out the beauty of traditional Chinese culture to people by designing in a nontraditional way.